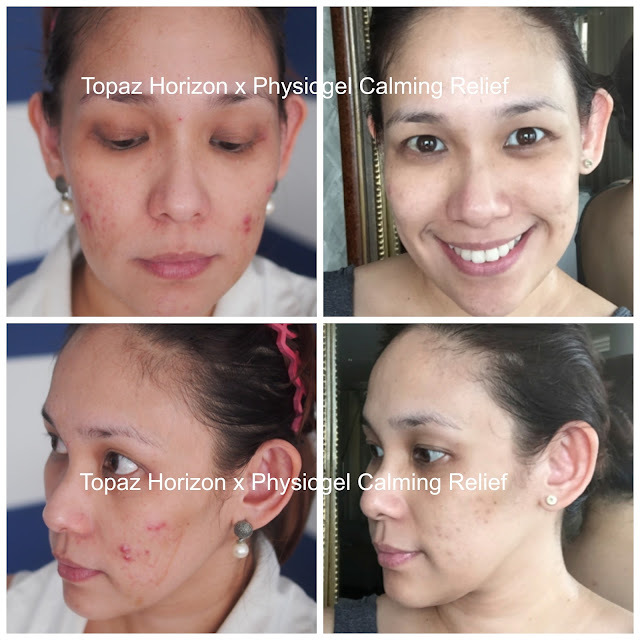 TOPAZ HORIZON: Pollution spoiling your skin? Physiogel Daily Defence to the rescue! Pollution spoiling your skin? Physiogel Daily Defence to the rescue! 1. Thanks to Physiogel's Calming Relief line, my skin has already calmed down. Literally. Just look at what my skin looked like before using Physiogel! After 2 months' use, my skin calmed down and felt relief! Scary. But now that my condition has improved, I can move to another skincare line. But Physiogel pa rin! Since my skin is now healthier and stronger, I need to protect it from the harsh environment. Hence, Daily Defense! 2. This coming year, I'll have two kids in big school and my plan is for them to get involved in lots of extra-curricular activities. Because they'll be in school and also because my youngest son has finally weaned (hooray! ), I can now focus more on my work. Whatever it will be! That means I'm changing my safely-working-at-home lifestyle to one that's out and about. So working mama me needs extra protection from pollution, UV rays, and stress! 3. Well, it's New Year's Eve this weekend and the pollution will be extra thick so what better time to start a skincare regimen that aims to defend skin from the environment, right? So let's talk about environmental pollution. As a working woman in the city, I'm well aware that pollution posts high risks on our health—our lungs and our skin most especially. I breathe in the city air every day. I get exposed to skin-damaging UV rays even when I'm in the shade because the glass-and-concrete buildings and the pavement reflect the sun's harmful rays. Pollution brings with it dirt, irritants, germs. Add sticky, oily sweat and you've got a recipe for skin disaster. I should know because my skin is super oily and extra sensitive so I break out at the slightest excuse! I actually didn't know my skin was sensitive. Akala ko super pimply lang talaga ako. Yun pala I have sensitive skin that's highly allergic to practically everything! Dirt, dust, allergens, makeup, perfume, my own husband's stubble! My skin reacts immediately—redness, rashes, pimples. Ang arte! "Air pollution in megacities can be up to 15 times higher across the globe than recommended by the World Health Organization (WHO) air quality guidelines. When pollution comes into contact on the skin, the particles’ tiny size – which could be up to 20 times smaller than pores – allows them to infiltrate deeper layers of the epidermis. The breakdown of skin barrier functions at a cellular-level can make skin extra sensitive, and can cause skin irritation, dryness, dehydration, premature aging and dullness. "Based on the 2016 report from the Department of Environment and Natural Resources (DENR), the worsening air quality in Metro Manila, 80% of the air pollution in the country is to be blamed on mobile sources such as vehicles, and 20% of pollutants from stationary sources such as buildings and factories." And here's where Physiogel Daily Defense comes in. Physiogel Daily Defence is a complete day-to-night facial skin regimen that promises to defend the skin against pollution and environmental irritants. How? Through a unique triple-action formula! Liz started using the entire Physiogel Daily Defense line: Start with the Physiogel Daily Defence Gentle Facial Cleanser, which effectively removes makeup, dirt and other impurities while respecting the skin’s moisture barrier then finish with Physiogel Daily Defence Replenishing Night Cream to strengthen and repair the skin's moisture barrier function while you sleep. In the morning, use Physiogel Daily Defence Protective Day Cream Light with SPF 15 (or Physiogel Daily Defence Protective Day Cream Rich with SPF 15 if you have extra dry and irritated skin). Oooh! I totally believe Liz because I'm a Physiogel user! I can't wait to start using Daily Defense! I'll do a review at the end of January. Watch for it! 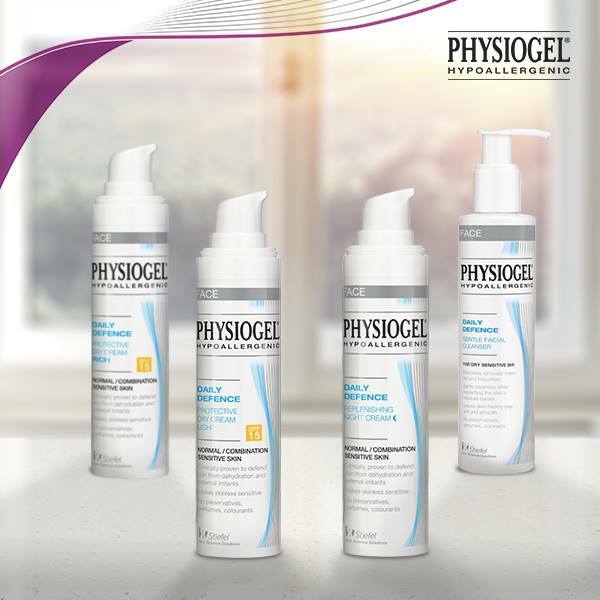 For more information, visit: http://www.physiogel.com/ph and their Facebook page, https://www.facebook.com/PhysiogelPH/.